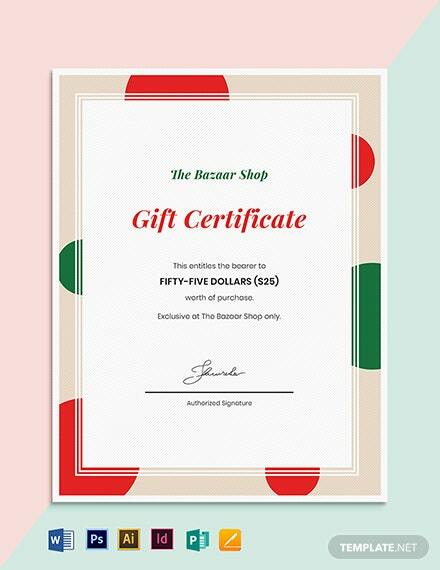 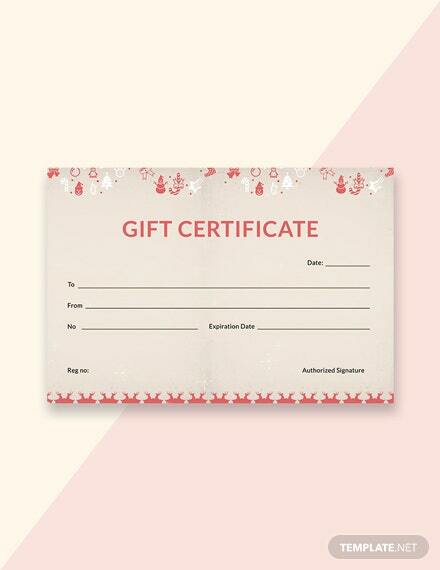 There's no need to add all the bells and whistles when customizing a gift certificate as long as it reflects the mood of the holiday season. 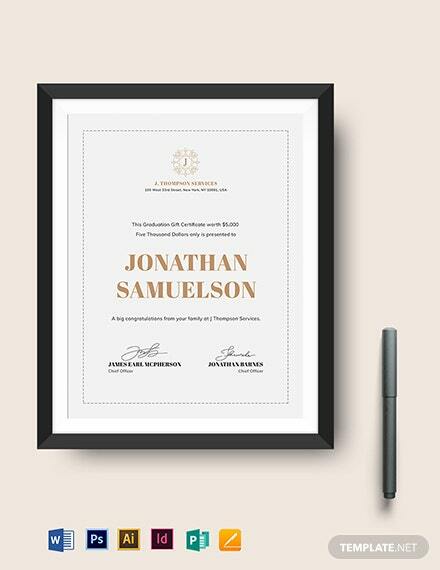 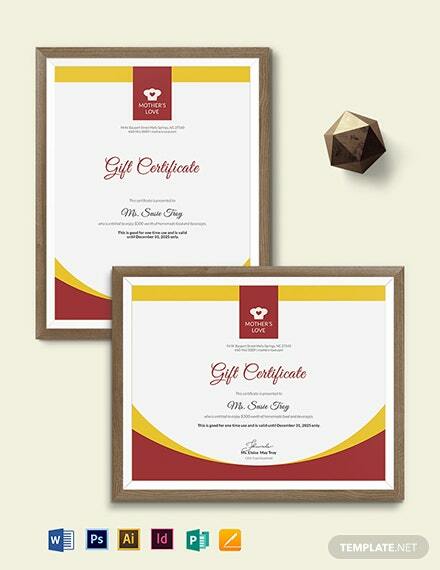 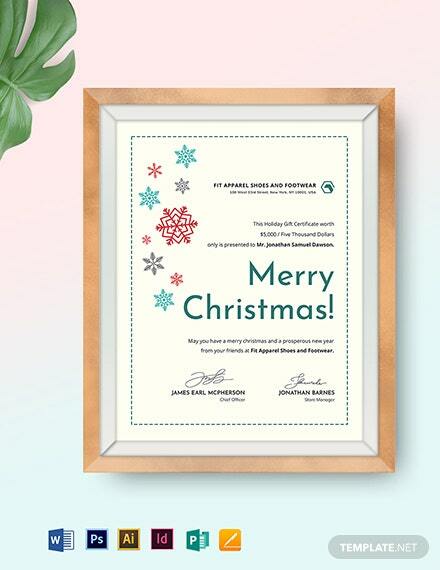 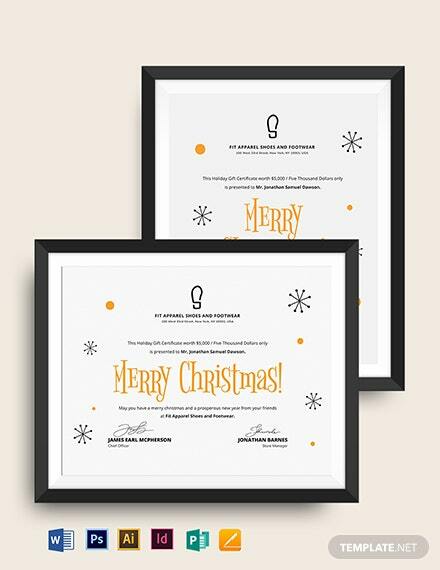 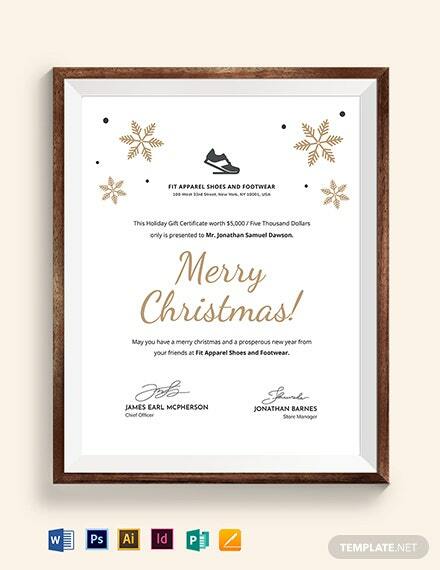 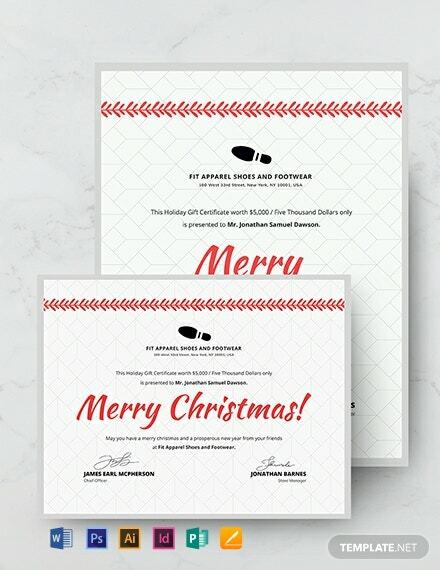 Download our free Simple Christmas Gift Certificate +More Template and get to enjoy a ready-made and print-ready gift certificate template that you can immediately distribute. 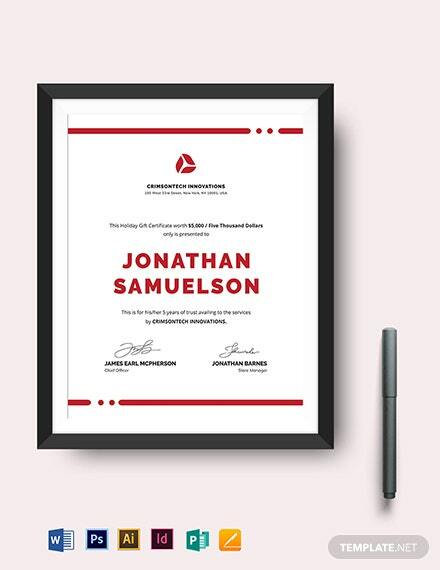 Download in any file format of your choice for easy editing and customizing.